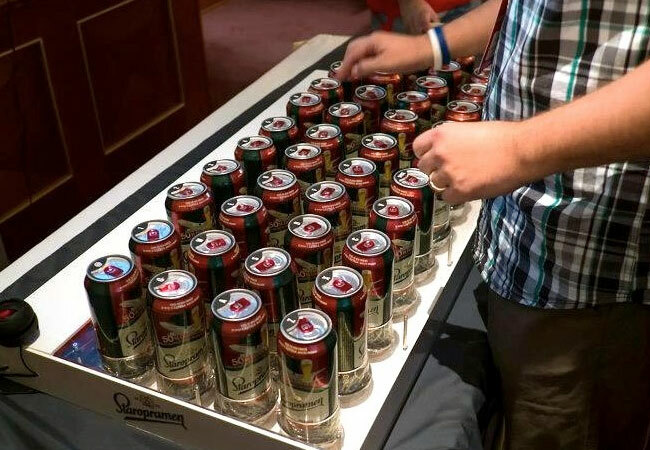 The unique beer can keyboard has been created to act just the same as a standard keyboard, but instead of keys 44 beer cans have been used, that when touched create the input required. Check out the keyboard in action in the video after the jump. The keyboard was built using a Arduino board together with a fuel capacity of controllers, which is then being connected to a Raspberry Pi mini computer. The unique beer can keyboard was created by Robofun Create a Romanian company specialising in creating unique technology.